Cooking Quick Tips For Bacon | Just The Right Spice! We love bacon, but unfortunately it’s not one of the healthiest foods and it can make a big mess in the kitchen that you have to clean up after wards. If you are a bacon lover too here are some quick tips for cooking bacon. Precook the entire package or several packages at once, cook until almost done. Store the pre-cooked bacon in the freezer until needed. This way you can reheat just the amount you need with out all the grease and mess. Heat in the microwave or a fry pan. 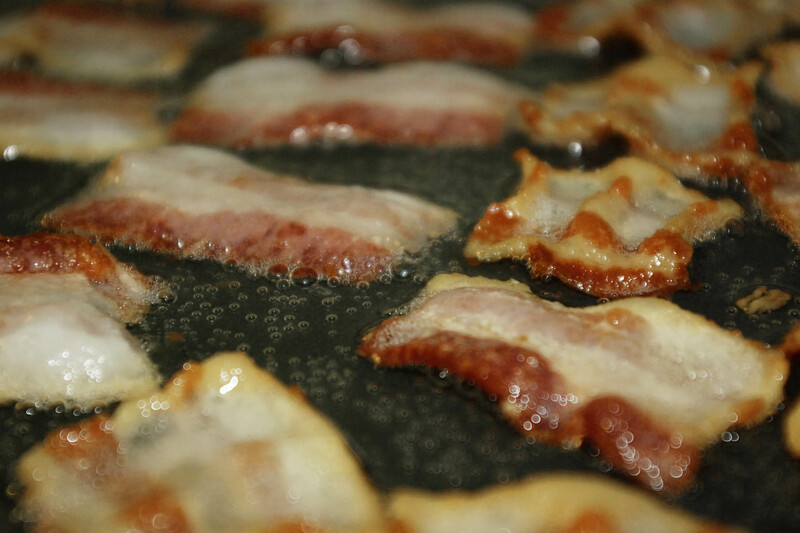 Cook bacon in a counter top grill, this keeps all the grease and splatters to a minimum. Cut bacon strips in half, they are easier to work with. Plus it looks like you have more pieces on your plate. Great tip if you are watching your calorie or fat intake. Drain cooked bacon on paper towel to remove excess fat. Pat with a fresh paper towel to remove more grease. Hi Sandie Lee thanks for stopping by and following. I appreciate you!